The classic L.L. Bean Boat & Tote. 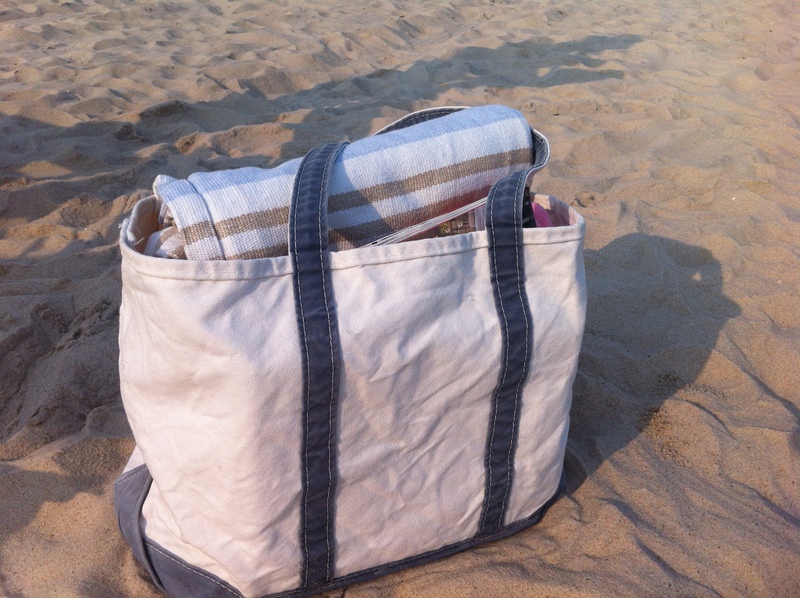 Ours is weathered to perfection after ten seasons of use and it only gets better with age: The fabric is more pliable but totally solid and the blue piping and straps are beautifully faded by years of time sitting out in the sun. Love. 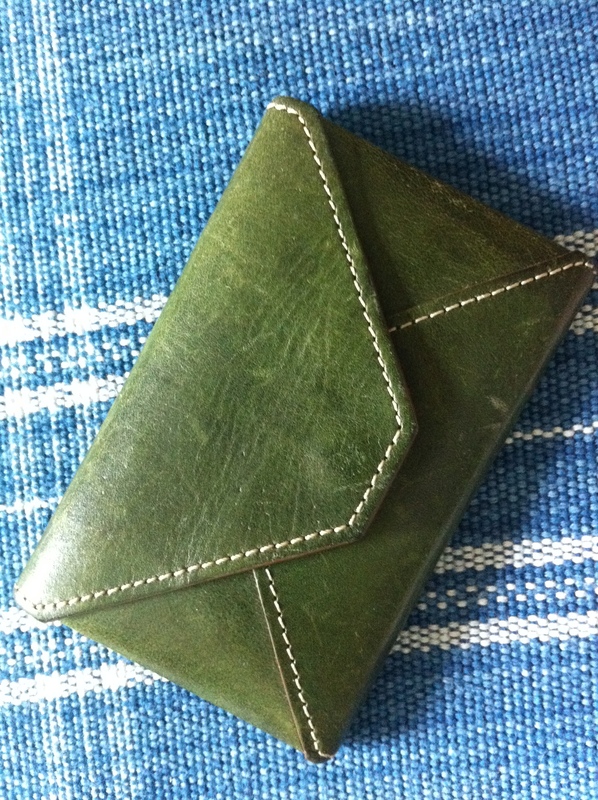 My little green “beach wallet” from J. Crew. I purchased it well over twelve years ago, when Mr. H and I began taking trips to warmer, sandier climes. Perfect for your ID and a few dollars for ice cream. Or a mixed drink. It also wears its years of use well — the varying shades of green and little dings and scratches only suggest (to me, at least) Time Spent Enjoying Myself. And then there are the far more important and sentimental things whose permanence are pretty much part of the fabric of my life. Mr. H is celebrating a birthday this week and two of our best and oldest friends came out to the beach last weekend to get the party started. A good time was had by all, which is always the case with these friends. From weathering hurricanes to traveling the world to cheering each up after a rather hideous day, things always have that extra something when we are all together. 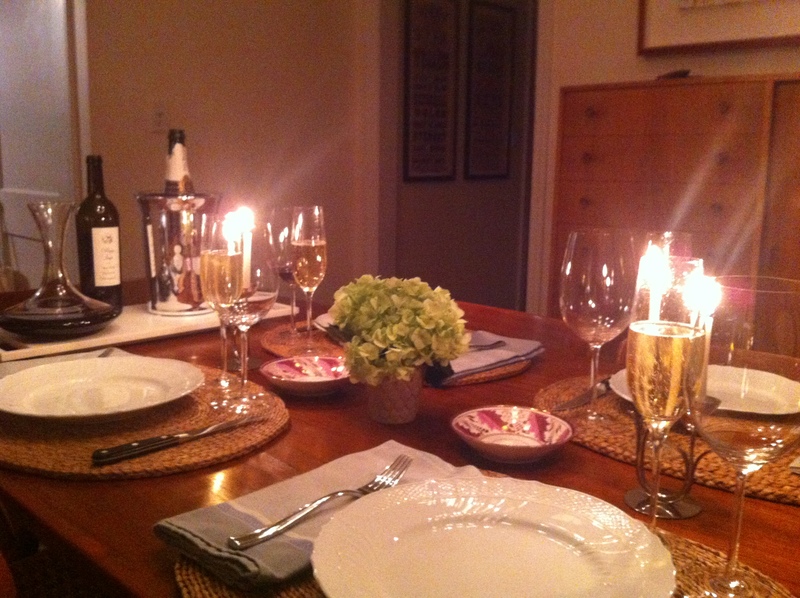 So I can’t imagine not celebrating all of life’s big and little milestones with them. The same can be said of our other dear friends that we’ve been lucky to gather along the way, for that matter. And in my book, these friendships top the list of the Wonderful Things in Life that are so excellent because they are most certainly built to last. You are currently reading Built to Last at Some Cozy Night.